Ashtanga in Aswan, A Yoga Retreat – Join the Facebook event by clicking here! December 19-22, 2013. A 4-day, 3-night yoga retreat at Fekra Cultural Centre, El-Shallâl, Aswan, Egypt with Kaz Castillo, KPJAYI authorized ashtanga teacher (Ashtanga Yoga Egypt). 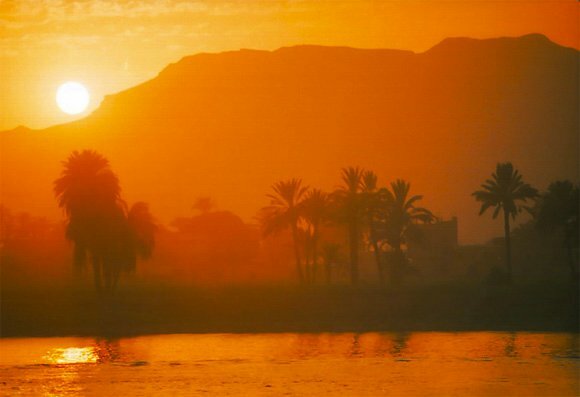 Breathe in the true nature of yoga in the very special surrounds of Aswan. We will explore a holistic view of the ashtanga practice through daily yogasana class, meditation sessions, and other fun and fulfilling activities set in the unspoiled beauty of Aswan. Kaz loves yoga for its transformational power and embraces the constant gifts of change that come with practice. A dedicated ashtanga student, she has been studying at KPJAYI in Mysore, India under the tutelage of Sharath Jois who has given her his blessing to teach the system.She taught at Boracay Yoga in the Philippines up until 2011. Since then, Kaz has immersed herself in the study and exploration of yoga, from the philosophy that fuels the practice to Sanskrit chants and bhajans. She now shares this expansive experience of yoga around the world, from Japan to Europe. Invited by friend and fellow ashtangi Iman Elsherbiny, Kaz is currently teaching for Ashtanga Yoga Egypt. FEKRA* is the joining together of artists from around the world with the culture and traditions of Southern Egypt. FEKRA supports those artists in their endeavors and promotes a cultural exchange with the local people. The Cultural Center organizes traditional and contemporary music and dance events, poetry evenings, lectures and film screenings. FEKRA also offers courses and workshops with local and international artists and facilitates an international cultural exchange. This entry was posted in Classes & Offerings and tagged Ashtanga, Aswan, Cairo, Egypt, Meditation, Mysore, Workshop by sisterhoodofthetravelingmala. Bookmark the permalink.